Even though this seems straight forward it caused some confusion around the community and I thought I’d take a minute to address those. There is NO new APIs to play with. Sorry! 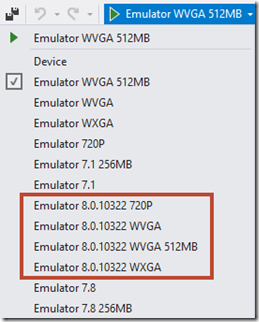 After you have installed it then you will see 4 new emulators available for both Windows Phone 7.1 and 8 projects as shown in Figure 1. 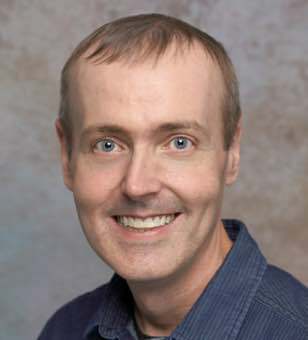 Figure 1: New Emulators available. What the heck is 10322? 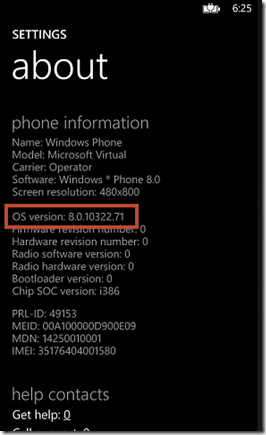 This release number does not match the final release number found on newer phones such as the Lumia 1020. But it does contain GDR2. But let’s stop right there and take a look at the emulators that shipped with the original Windows Phone 8 SDK. 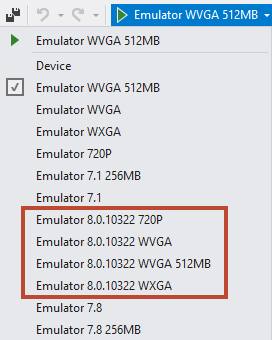 Launch any of the Emulators named: WVGA 512MB WVGA WXGA or 720P and you will find they are using OS Version 8.0.9903.10 as shown in Figure 2. 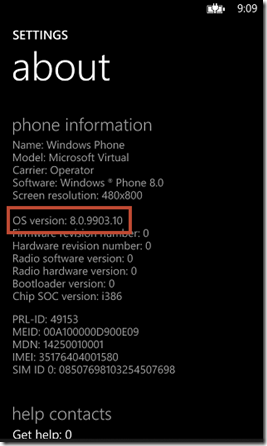 Launch any of the 10322 emulator and you will see they are using OS Version 8.0.10322.71 as shown in Figure 3. Break it Down for Us Mr. Crump. 12/11/2012 8.0.10211.204 No Emulators Available. 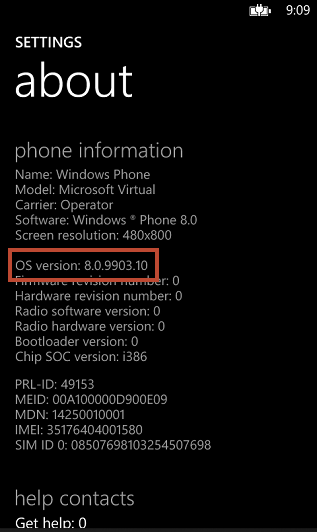 Still found on my //build Nokia Lumia 920 Device. 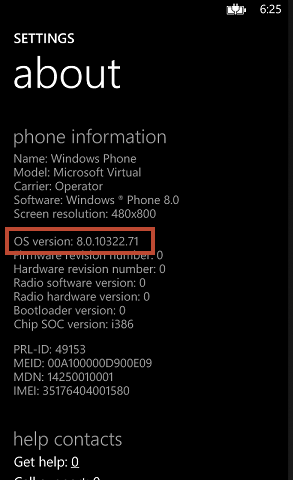 The reason for all the various versions numbers (8.0.10322.71 / 8.0.10327.77 /8.0.10328.78) is because the update number depends on your specific phone model and or mobile operator. The original build number that you saw in the SDK Update (8.0.10322.71) was shown by reporters during Nokia’s London event. But this emulator is safe for any testing you might want to do for a GDR2 device. I hoped this cleared up any confusion regarding the update. Thanks for reading!